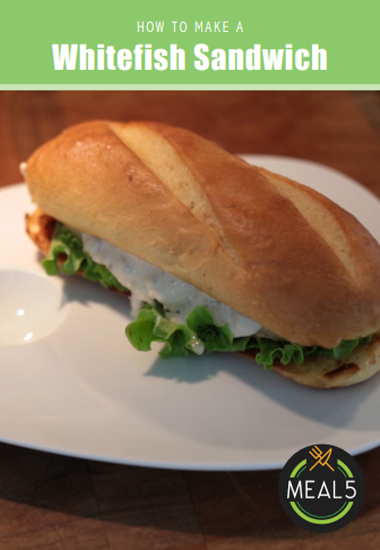 Can’t go wrong here with this lightly pan-fried fish sandwich. Walleye and tilapia are great choices, and buying it as fresh as possible will make it even better. 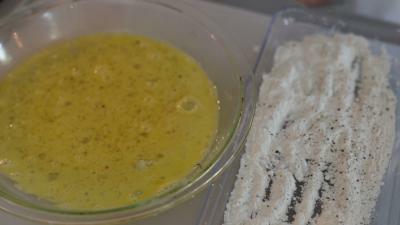 A simple egg wash helps the flour stick nicely to the fish and will give it the right amount of crispiness while keeping it out of greasy territory. You’ll know it’s done when it turns golden on the outside, and white and flaky on the inside. 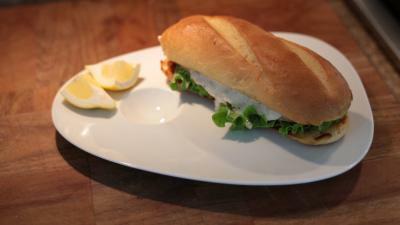 Serve in a hoagie bun with Tangy Tartar Sauce. It's easy to make and oh so good! Rinse fresh fish and pat dry with paper towel. In a small bowl, whisk 1 egg, plus 1 teaspoon water together until frothy. 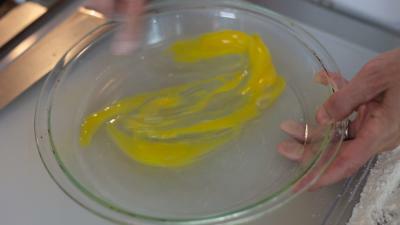 Pour egg wash into a flat dish. Put flour into a flat dish. 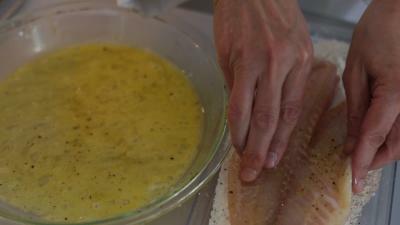 Dip fresh fish into egg wash covering completely, then dredge through flour to coat lightly. Over medium heat place fish in skillet or griddle. 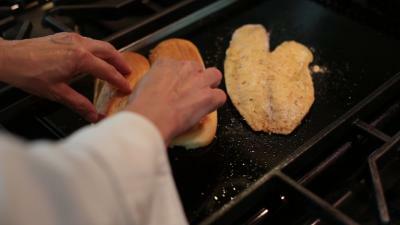 (2-3 minutes or when fish turns white and flakes apart easily). Butter both sides of bun and toast until golden brown. Remove and set aside. 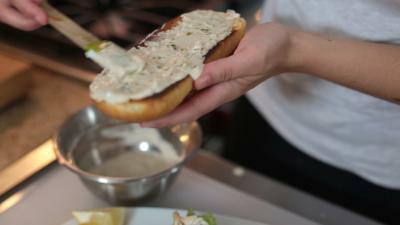 Spread tartar sauce on toasted bun and assemble sandwich.